The WindSense system features an ultra tough Wind Transducer with Igildur™ bearings for exceptional life and corrosion resistance. Data transmission is via a super-thin 20m digital cable providing fast update NMEA0183 ($MWV) data to the below deck wireless interface. 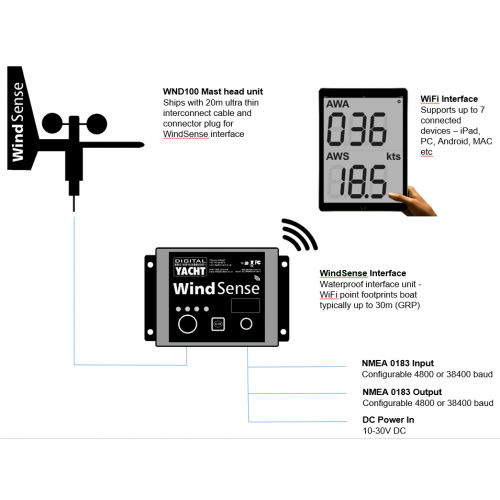 Wind data is then wirelessly streamed to any compatible App or Navigation software package enabling Apparent, True*, Close Haul or Running data to be displayed on an iOS, Android, Mac or Windows device. 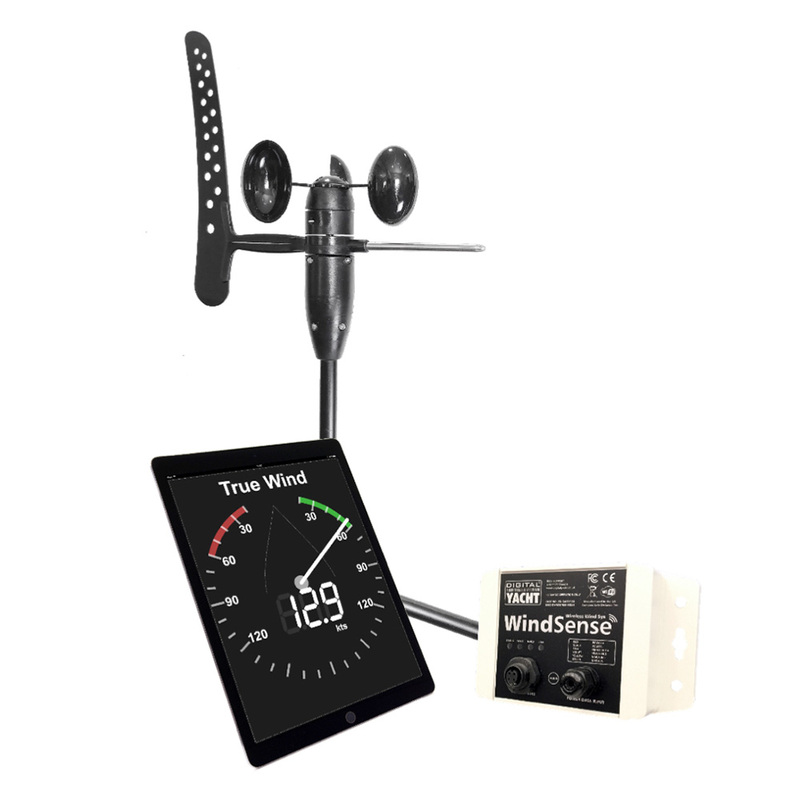 Up to 7 mobile devices can receive the same data, so crew and family members can also see exactly what the wind is doing. *True Wind readings require boat speed (SOG or STW) data to be available.